All aboard! The alphabet train is coming by to teach your kids their ABCs! 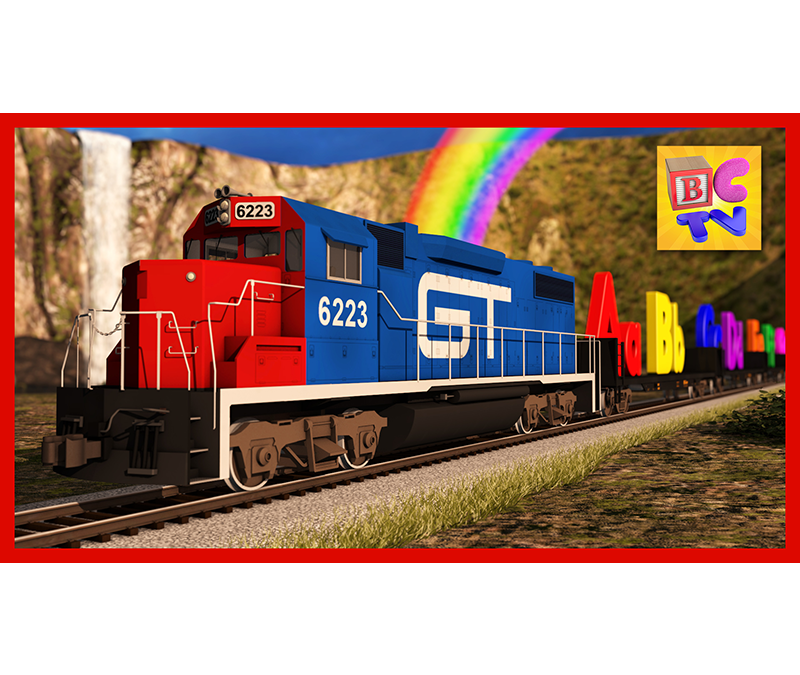 Watch as the ABC Train helps your children learn the upper case and lower case letters of the alphabet in English with stunning 3D graphics complete with an animated waterfall and colourful rainbow!